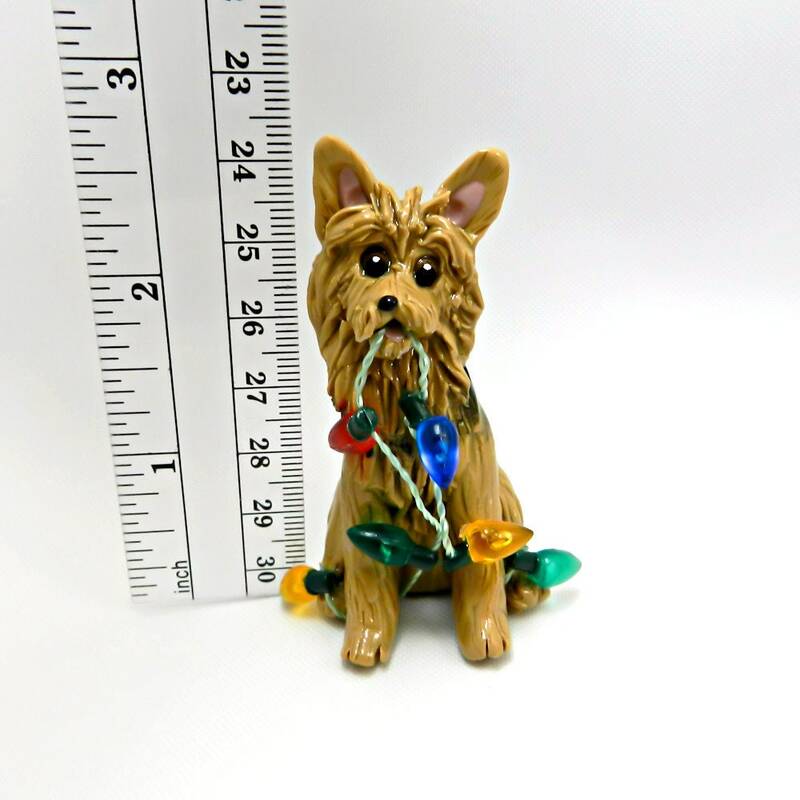 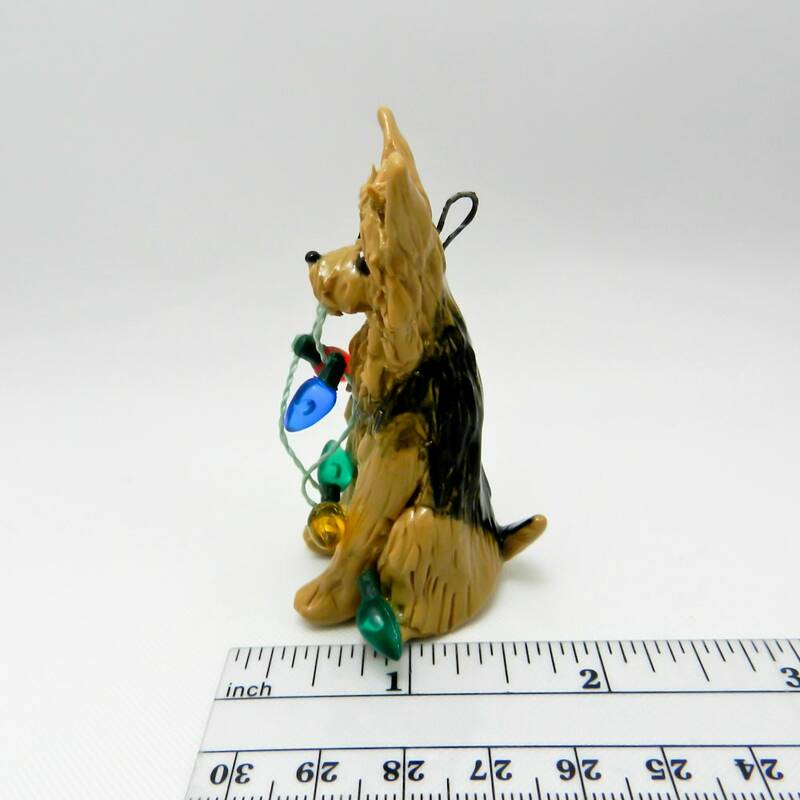 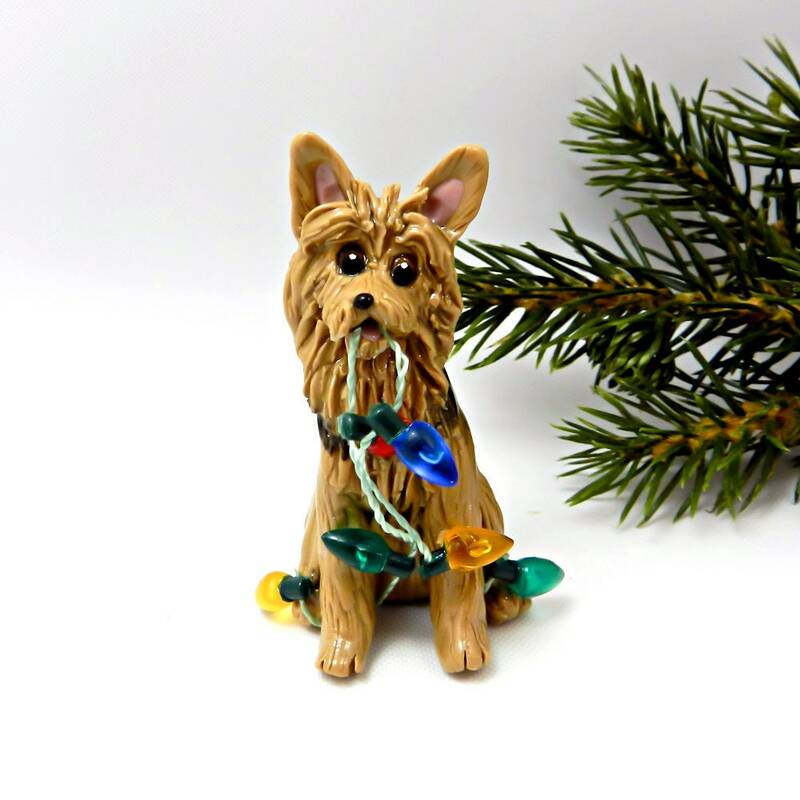 Australian Terrier Christmas Ornament or figurine, playing with a strand of colorful Christmas lights (lights do not light up). 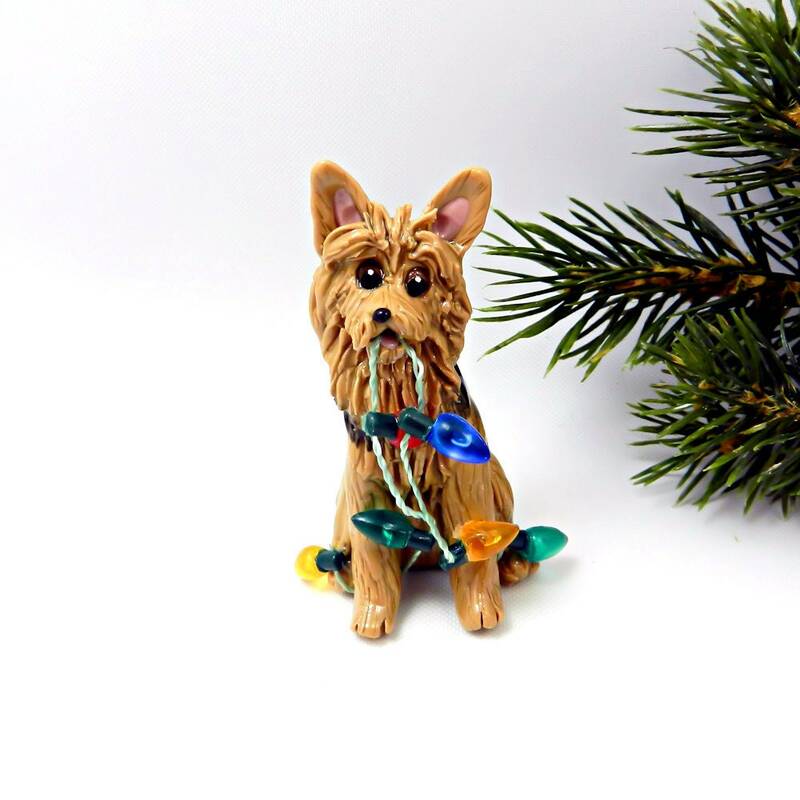 * Approx. 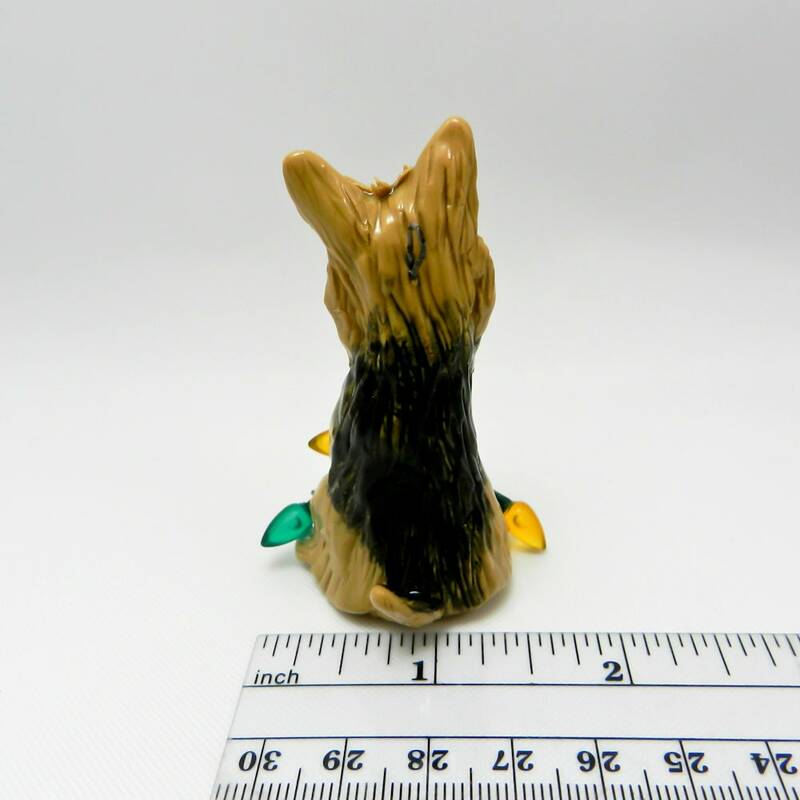 2 1/2" high x 1" wide.